First, this is an OmniMobius (see what I did there?) 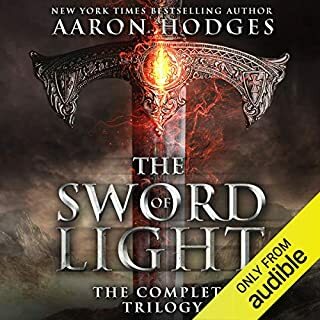 that is a full 85 hours or listening joy and is in my humble opinion this is the best listening you can buy for 1 credit on Audible -- certainly one of the best bargains. 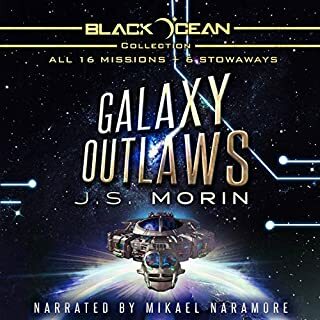 If you like space opera with a hint of magic and good-natures scoundrels you'll love the adventures of Carl and the Crew. Mikael Naramore does an excellent job bringing the crew to life and I would never get tried of hearing him tell a story. Buy it. Buy it now. What are you waiting for? This is 85 HOURS of listening pleasure. 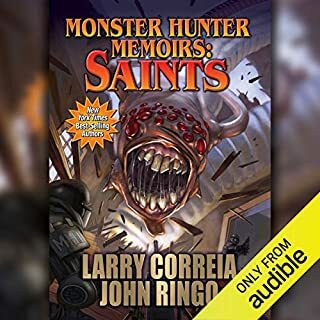 With New Orleans out of control, Chad Oliver Gardenier, one of Monster Hunter International's premier hunters, has been dispatched from Seattle to reinforce the beleaguered members of MHI'S Hoodoo Squad in their fight against the darkness. If you liked any of the other HMI story arcs, you will DEFINITELY like this one, too. This is easily the best of the series and Chad Gadenier is and may always be my favorite character from the series. I was rapt with attention at listening to these (on my headphones and often busting out laughing to neighbor's amusement). The only thing I didn't like about this series was that it had to come to an end... But what a very satisfying end it was. You feel like if you were in this universe you and Chad would be best friends. 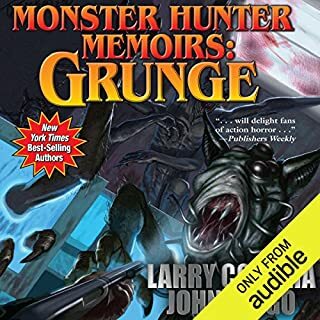 Oliver Wyman brought Chad Gadenier to life and to him and, of course, Larry Correia and John Ringo, I say thank you for the adventure. If you liked 1 thru 5 then you'll probably like this one, too. It is more of the same. The very same. The very very same. No spoilers, I don't think you will need them. This book focuses less on Skippy The Magnificent and Joe and more on the other characters from Paradise, which was a welcome relief. 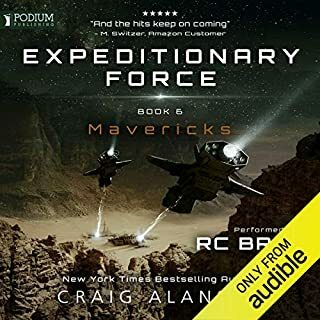 R. C. Bray is easily one of my new favorite narrators and he again does an excellent job, breathing life into what would otherwise be a 'meh' story. I will say that I want to finish this ride, but hope it ends soon. 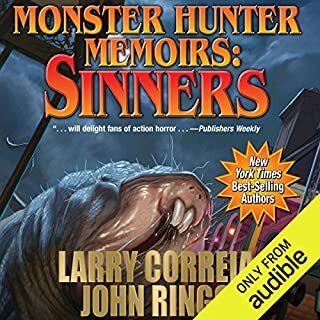 I’ve been a big fan of Larry Correia through all of his Monster Hunter International series. I loved those and love these. Narration is first-rate. Overall a great listen. Ten thousand city-state habitats orbit the planet Yellowstone, forming a near-perfect democratic human paradise. But even utopia needs a police force. For the citizens of the Glitter Band that organization is Panoply, and the prefects are its operatives. Prefect Tom Dreyfus has a new emergency on his hands. 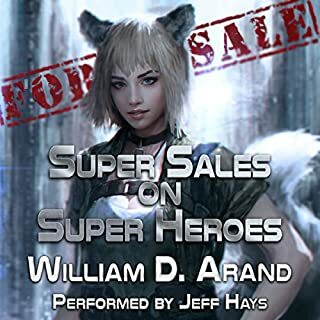 Across the habitats and their hundred million citizens, people are dying suddenly and randomly, victims of a bizarre and unprecedented malfunction of their neural implants. There he is. 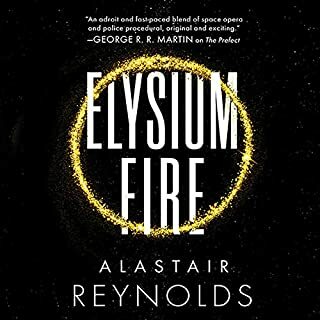 The Alastair Reynolds I love and have missed. If you liked any of the Prefect / Chasam City novels, you won’t be disappointed in this one. John Lee could read the dictionary to me and listen with wrapped bliss. 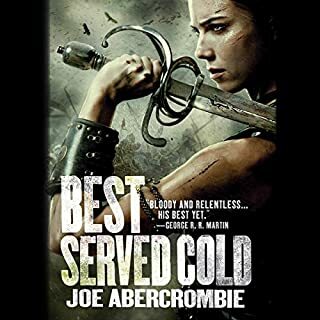 Joe Abercrombie is not an author to listen to if you like kittens and milkshakes with two straws. I've listened to many of his books and liked "most" of them. First, he is a GOOD writer. You can take that to the bank. But he is dark and morose and most of his books are going to be NC-17 for one reason or another. All that said, I was hoping for another Logan Ninefinger's type story, but there's just no one to like in this book. For any reason. By the end of the book, with a mostly so-so story, you could care less if anyone survives. There's no Glokta in this story. No Logan. No one to care about, and I think that is why by the end it's like dining on a loaf of moldy white bread. This story hits all the tropes. 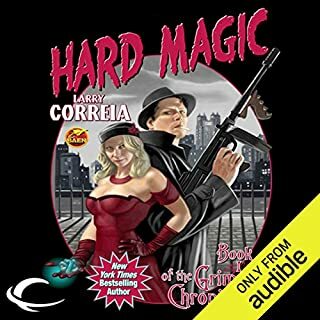 Spoiler alert: Magic is magic, you get the history of magic in the first few chapters, along with the troubled user who quickly masters his power thanks the ubiquitous avuncular mentor that quickly befriends the troubled youth. Basically this is Star Wars. And a painful listen.